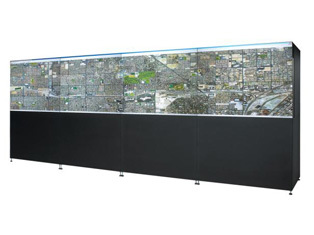 Christie are World-renowned manufacturers of Video Walls, that support 24/7 mission critical operations of some of the world’s largest telecommunications and transport support networks, or suppliers of commodities, assisting in the monitoring of energy supplies to millions of homes and businesses. 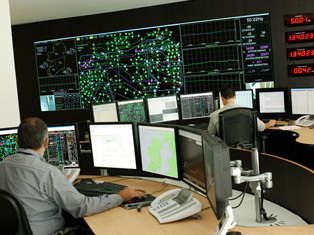 Christie Control Room installations include; high impact, high performance, propose built video walls, and control systems that actually put you in control, for organisations like; Network Operation Centres (NOC’s), Command Control Environments (C&C), Monitoring Stations, Broadcast Monitoring Centres, and Transport support Networks. 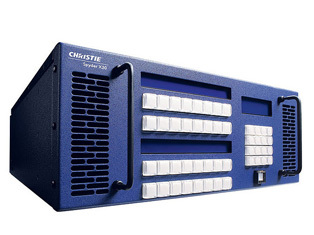 Over the past 25 years, Christie Digital Systems have developed and manufactured control room displays, encompassing video cubes, rear-screen tiling projectors, and custom built enclosures and video wall controllers. 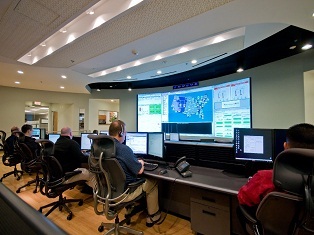 During this time Christie have successfully delivered over 1000 Control Room Solutions for major international companies, including; AT&T, BBC TV, Deutsche Telecom, Exxon Mobile, Highways Agency, NASDAQ Grid, Russian State Railways and many others, all supported by ISO: 9001 quality and ISO: 14001 environmental standards. Christie’s latest innovative and already multi-award winning development is Christie MicroTiles™ that have taken video wall display technology to a new level and completely revolutionised the control-room industry … Christie MicroTiles are built on proven DLP® technology and specifically designed for maximum image quality in demanding indoor, high ambient light environments. Combining the strengths of both DLP projection and Light Emitting Diode (LED) technology, Christie MicroTiles offer substantially brighter images and a much wider colour palette than conventional flat panel LCD and plasma displays. With no practical limit to the number of tiles in a display, Christie MicroTiles produce a virtually seamless canvas with an unlimited number of super-fine pixels, and can be viewed from minimal optical angles. Extron Electronics is a leading manufacturer of professional audiovisual system integration products, applied to integrate video and audio into presentation systems for today’s high tech control rooms, boardrooms, presentation and training centres, university lecture halls, cinemas and many other applications. Manufacturers of the most powerful video processing in the world! 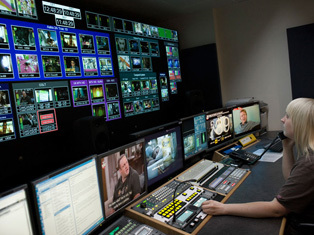 No other manufacturer of video products offers the technological creativity, flexibility and control of Vista Systems. Since 1996, they have led the way in pioneering equipment for video switchers and windowing products and have now reached the point where their technology has become the standard for blended projector video and mixed-signal data switching display. Vista Systems’ Video Processors are so innovative; you can adapt them to almost any presentation environment.